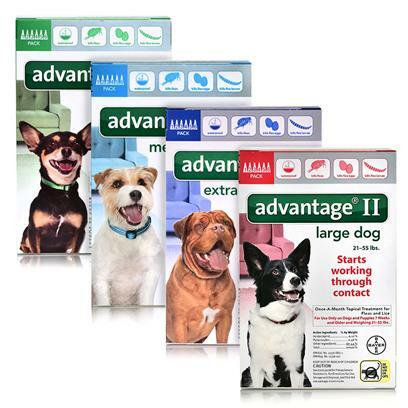 When it comes to killing fleas, you can't get far without hearing about Advantage for dogs. A quick acting, all encompassing flea medication that kills all forms of flea life in just 12 hours, Advantage II is a flea's worst nightmare, and your dog's best friend. Rated 4.5 out of 5 by 237 reviewers. This product work the best of any I've used. It's been working consistantly for 7 years. I love this product, so effective!! Advantage II works better on my dog than Frontline. Sorry, haven't used it yet although I have many years ago and it worked well. This is only product I use on my pets! No longer works on my dog. When you give up, this is the last product you will ever need. Debbie-Owner of 2 toy poodles. Got Rid of Flea Infestation Right Away!